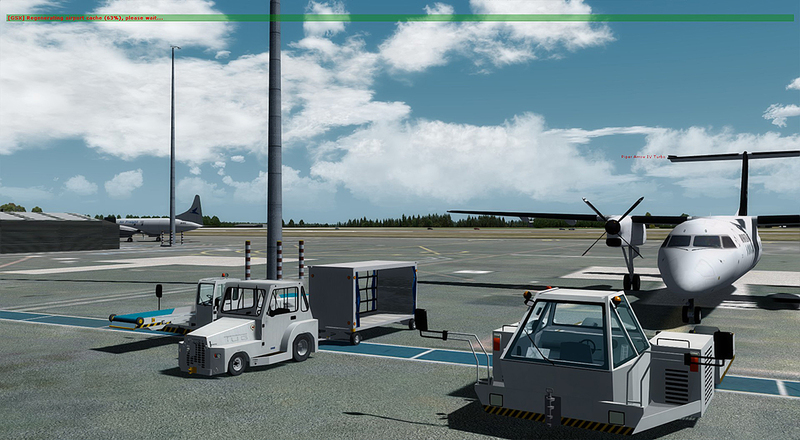 NZCH certainly benefits from GSX and REX airports, it livens it up so much. Not sure how far I'll go incorporating GSX into NZCH, but it certainly seems like a good idea. Just too much to do and not enough time. Looks like REX Worldwide Airports doesn't support v4 yet, I just need to pluck up the courage to install it anyway. A thread on Avsim says it works ok, I might give it a go tomorrow. A couple of weeks ago I turned 62, so I shouldn't be losing my mind yet -- I thought I had at least 3 good years to go. toprob wrote: Looks like REX Worldwide Airports doesn't support v4 yet, I just need to pluck up the courage to install it anyway. A thread on Avsim says it works ok, I might give it a go tomorrow. What version have you got? Mine works fine in P3Dv4 - but I rarely go outside ORBX areas, so don't get to see the benefits. I went to few default locations and the airports were so damn' ugly that WWA couldn't do much to salvage them. The vehicles in WWA are OK ... but basically three colour schemes and that's your lot! I did redownload it, so I assume I have the latest. However it does allow you to simply choose the location of P3D3, so I chose P3D4 this morning, and it seems to have worked out ok.
Like you, I don't get much advantage, really only the ground service vehicles. The rest is custom airport. But every bit helps! Speaking of the download, it was quite quick considering it was very recently released, and probably quite a busy server. 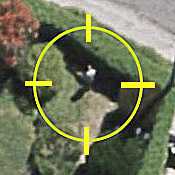 Took me about 20 minutes, which reminded me how far we've come with downloads these days -- I can remember my first 'major' scenery download, it was NL2000, the Netherlands for FS2000 At 50MB it seemed huge, and took days using a download manager on dial-up... Downloading Mike's NZAA recently, I clicked on the download link and it just appeared to stall, but when I looked at it properly, it had actually downloaded fully in what seemed like a few seconds -- for 500MB. Now we can just forget we ever got by on dial-up. I have mentioned before that I'm thinking of moving to fibre, but at the moment I'm not sure I'll see enough benefit -- I've very recently discovered a power point behind my couch (shows how often I shift the couch to vacuum), which means that I can shift the wifi router through from the kitchen, and this has made a bit improvement. I'm 'stuck' with wifi as I don't want an ugly cable running through my lounge... But I'm now at the point where everything just works, sure, I could get 100Mb downloads on fibre compared to my current 60Mb on VDSL for the same price, but so what? I'd also probably lose a bit of upload speed, from 27Mb down to 20Mb, which is the norm for this price range. So if it ain't broke, I dunno if I'll fix it. The only benefit from shifting is if I ended up with the connection coming into my office, so I could use ethernet on the PC. Back to Worldwide Airports -- is it worth it? In some ways it is too little too late, but since I already owned it, it isn't a major decision. For someone who uses default airports, it would be a very nice addition. I like seeing the new service vehicles at NZCH, it adds to the ambience, but a much bigger back for the buck comes from GSX. 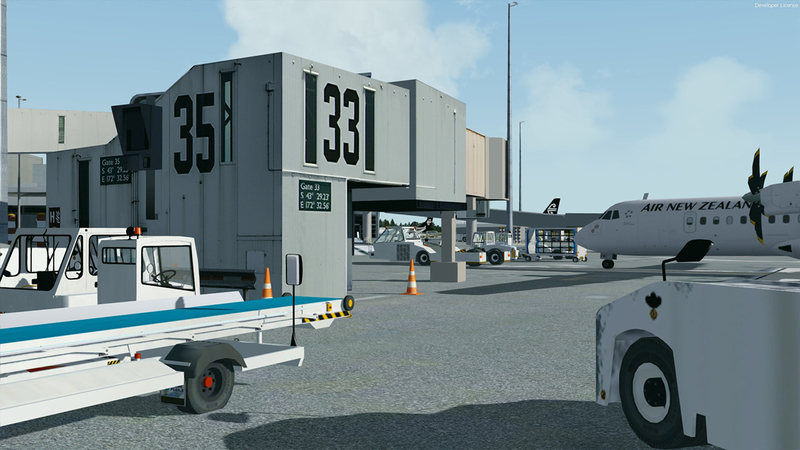 If I was looking for a major visual upgrade for my airports, I'd go for GSX at NZ$53 rather than REX WWA at NZ$43. Good info about WWA, - but like you say, probably not worth it if you only fly to addon airports like I do. I bought GSX ages ago, used it once and the little man told me my parking was crap so I stopped using it. Recently, I blew the dust off it and tried again and it seems like a different product, - far advanced from the initial release. It's great, and I use it on every flight, - lots of fun. So far, I haven't been told I'm rubbish but I'm not sure if that's because my taxiing is better or they've introduced a more respectful way of addressing pilots . My next addon might be Terraflora, - my FTX trees are sometimes very disappointing and evidently these have better colours and framerates. Looking forward to Christchurch .